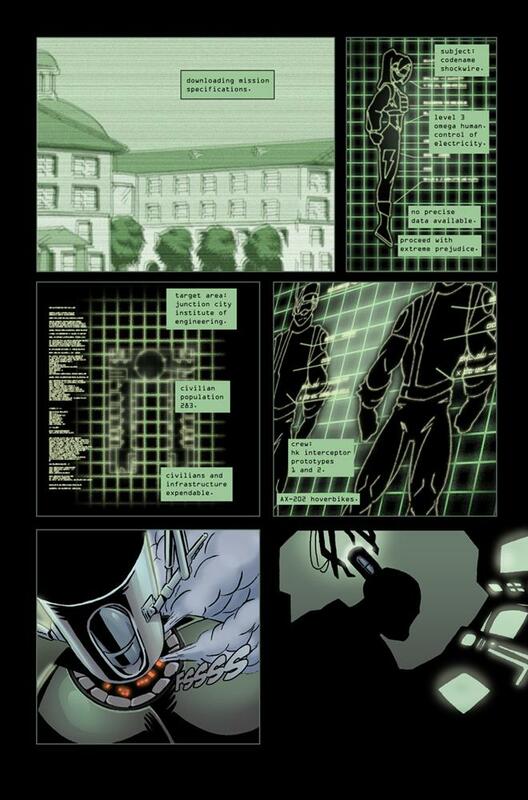 Someone on Comicspace pointed out that Skulhedd's silhouette in the last panel here looks an awful lot like Robot in Invincible… which, incidentially, was originally going to be called Bulletproof and features a character with that name. Now I didn't know about the title, so that wasn't intentional, but I'll be the first to admit that I read Invincible and love it, so if that influence shows through in Bulletproof - I'm not intentionally swiping from Kirkman, but he certainly writes what I consider a fine example of how straight-up superhero stuff can still work today. Incredible stuff! Thanks for checking out The Kosmix. Hearing such positive praise about my art from a very incredible artist like yourself, really means alot!